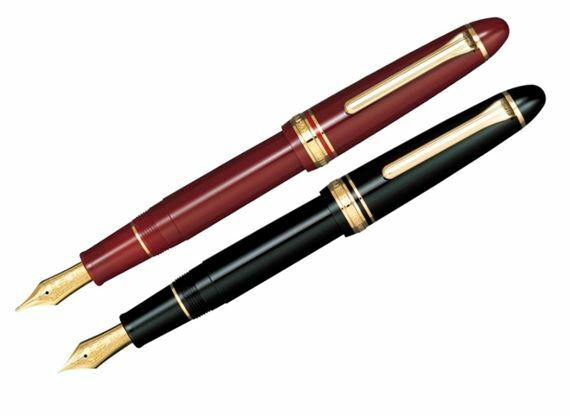 Order your Sailor 1911 Large Lefty Fountain Pen today from FahrneysPens.com. Fine Pens, Refills & Luxurious Gifts – great prices & fast shipping. Lefty's unite! The Sailor 1911 Large Lefty Fountain Pen is just for you. The Sailor 1911 Lefty nib helps the left-handed writer produce clean, crisp writing. 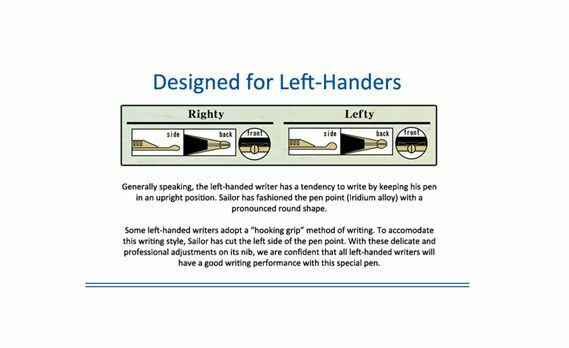 A left-handed writer has a tendency to write in an upright position or use a hooking grip method. Sailor has fashioned the pen point with a pronounced round shape that is cut on the left side to accommodate the 'Lefty's' writing style. The 1911 Large Lefty is a classic design in high-quality resins available in multiple colors with gold-plated trim and clip. 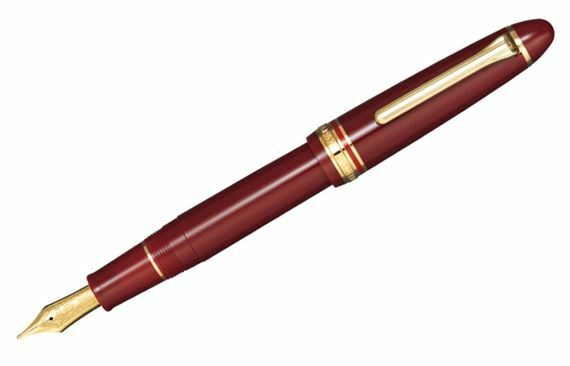 Finally, the left-handed writer can enjoy smudge-free fountain pen writing! The Japanese-made Sailor 1911 features a superb, flexible 21K gold nib designed by Mr. Nagahara, the revered master nib-maker at Sailor. You will be hard-pressed to find nibs this smooth and responsive! The unique lefty nib is available with your choice of fine or medium point. 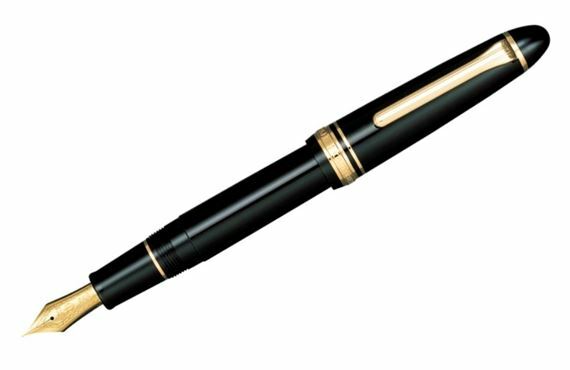 The Large Lefty fountain pen accepts ink cartridges or converter fill. Enjoy smudge-free fountain pen writing! I've had my lefty for 4 years. It was originally my favorite fountain pen, and the only one I would use for 3 years. Now I have 3 pens in my rotation. It is normally the pen that I use for signatures of documents. I have found it to be expressive, doesn't skip or drag. Have used it for just about everything, including sketching. Mine has a medium nib, and I use cartridges. Normally use blue or blue/black. Don't know why but this pen works best with the black cartridges. As a lefty, I was looking for a pen to compliment my Pilot CH-912 with a WA nib, and this Sailor was even better for me. The pen feels good in my hand and is a pleasure to use. The ink does not leak from the nib like it does a little with my Pilot (more of a slight nuisance than a problem). Engraving and customer service fro Fahrney's is always excellent.